This exceptional coat made its debut on the Fall/Winter 18 runway. 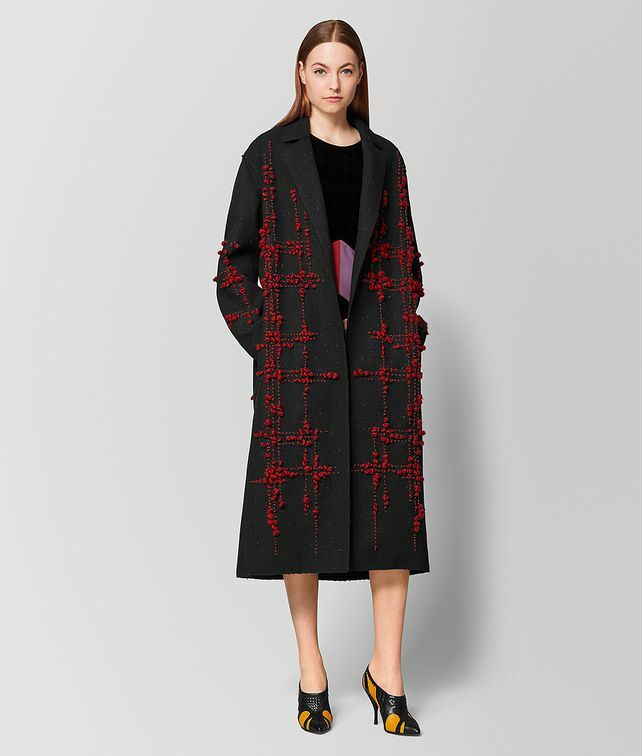 Crafted from subtly speckled wool, the coat has a relaxed, robe-like shape with artful raw-edged seams. The knotted mohair yarn embroidery featured on the front, back and sleeves echoes the cubic motif used throughout the collection in a soft abstract style. It requires labour-intensive craftsmanship by hand. Finished with satin-covered buttons.